Colors contribute greatly to the whole theme and atmosphere of any event. Thus, choosing the right wedding Color Scheme is very important. A Design House Consultant or Planner will advise you on how to combine colors to create a look that matches the vision of your dream wedding. Many brides tend to hesitate to combine colors themselves and stay in the safe side: going for all whites and pales or combining their favorite colors with whites. However, combining colors for your wedding should not be seen as a challenge, you should be able to have fun with it and be confident with your choice! The first step in deciding your Color Scheme is to consider the location of your reception space or choose a place with little to no color or decor. If you have chosen a country club with colored carpets, this obviously needs to be taken into consideration. The next step is to think about color combinations you like and think look good together. This can be facilitated by looking through bridal magazines, paint swatches, various color wheels (scroll to bottom), and narrowing down your preferred colors. 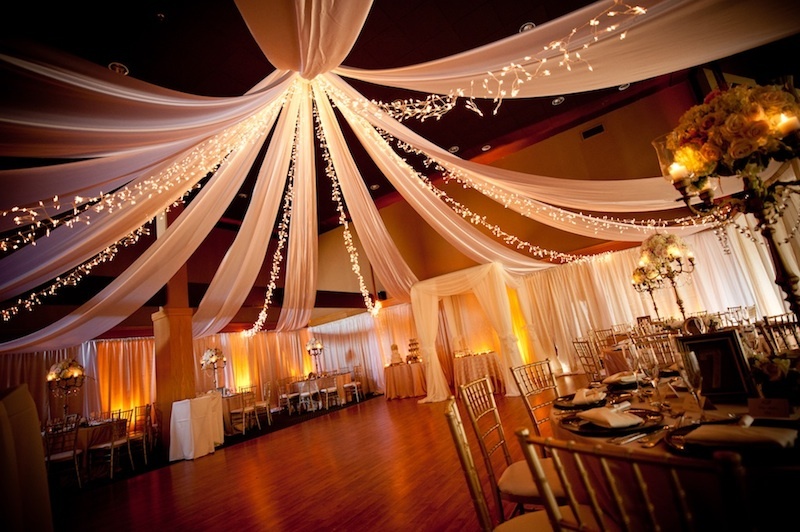 Of course, an experienced Design House Wedding Planner will assist you with this as well. 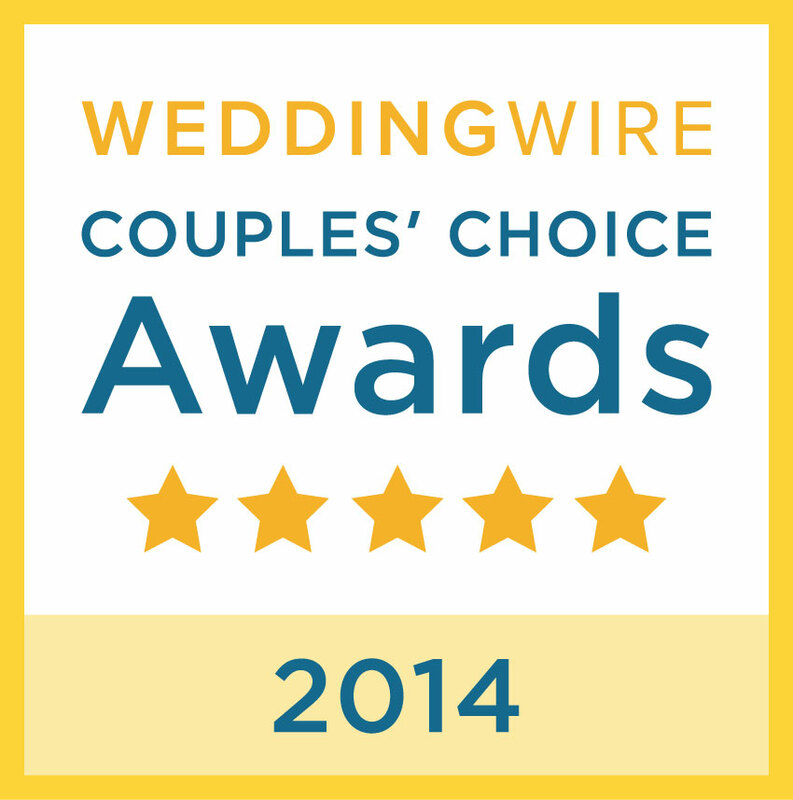 We are Experts in the field of color design for your floral and wedding decor! The monotone – You stick with one main color only. This is a clean and elegant look, you can play with different hues of the color. Below is an example of how to combine different shades of pink. The pink theme is everywhere: bouquet, bridesmaid dresses, cakes, linens and centerpieces and the color could run from very light to darker shade of pink. 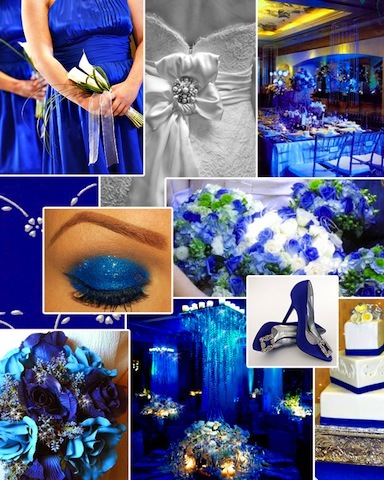 Even more eye catching is an all Royal Blue theme – – gorgeous lily bouquets make a lovely color combination. The analogous colors – the combination of 2 colors next to each other in a color wheel. For example: red and orange, blue and green, violet and red, etc. These usually make really good color combinations. They are pleasing to the eyes and make your guests feel comfortable. You can combine shades of 2 or 3 colors next to each other on the color wheel. 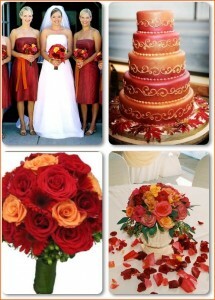 Below is an example color board for a red and orange wedding, which is usually a popular fall wedding theme. The complementary colors – their names are “complementary” but actually they are not complementing each other at all. These are colors that are opposite to each other on the color wheel. These colors when used together stand out and create contrasts. Some sample combinations are orange and blue, yellow and violet, red and green, etc. 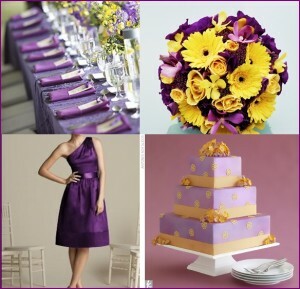 Below is a color board for a eggplant purple and yellow wedding as an example. The closer the colors are to each other on the color wheel, the more “pleasing to the eyes” the combination would look – – and vice versa, the further the colors are away from each other, the more contrasts and strong impression the combination will create. No matter how you feel about colors – – Design House of Flowers, Weddings & Events will put you at ease with all the details – including Color Schemes. It’s our job to do the work for you – – and We understand that your specific style, color preference, and budget are our top priority! Once you have chosen your color, the next step is to decide where and how you want to execute it. 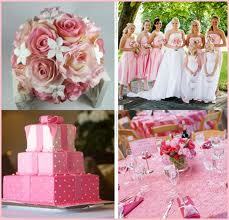 Most brides choose to incorporate their Color Schemes in food, flowers, ties, dresses, and details. 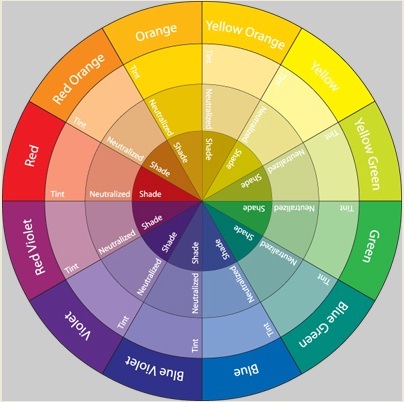 The color wheel below is a great way to simplify. 770-904-4488. We can’t wait to get started! Thank you to the following who helped contributed to this blog feature.